The number of workplace deaths dropped last year but the government’s safety agency says it’s still too high. 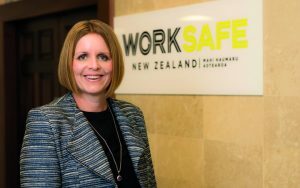 WorkSafe chief executive Nicole Rosie said new health and safety laws were among changes that were starting to focus businesses on protecting their workers. “These things have all been key deterrents or key changes in the system. “It’s not one thing, it’s multiple things. There’s a lot more businesses that are starting to see the value of health and safety, not from a compliance perspective, but from actually overall business performance as well. “So there’s a lot of things that are influencing and improving outcomes and we need to accelerate that. However, she said New Zealand still fell behind other countries like Australia and Britain. “We are still in the bottom quartile of OECD comparative countries even with that improvement. Ms Rosie said more would need to be done, with plans for 2019 to step things up in problem areas. “Of our priority sectors construction and forestry have seen quite large downward trends, like 30 to 50 percent downward. “Agriculture has remained rather static so we haven’t seen the same shift in agriculture and that reflects the fact that significant risks that cause harm in that sector are substantially the same as they’ve always been; quad bikes and tractors. “We are very heavily focused with that sector on what are the interventions that will most change performance. Looking at things like seat belt wearing in tractors, getting children off quad bikes and looking at roll protection on quad bikes. She said employers needed to commit to safety if change was going to happen. Farmers For Farm Safety, a consultancy to more than 2200 farms employing up to 7000 workers, director D’Arcy Palmer said farmers needed help when it came to what constituted best practice and what the health and safety obligations actually meant. “It is up to the farmer to ensure his people are trained, but I don’t think the farmer generally realises how much training they have to give some of their staff. He said even officials seemed unaware of what safe operating practices were on farms or what tasks staff were ask do do. “It is quite frightening the complexity of safety on a farm … we’re seeing people dying with machinery through simple procedures that aren’t followed. But do they understand what those procedures should be? He said there needed to be guidelines and WorkSafe had an important part to play. “If you look at farming or you look at the regulations and so on, there’s nothing specific.